Synopsis:If the Seventine are released, will anyone survive? I'm gona be honest and say I read all 6 books on 3days oops. Haha but now I wish I hadn't because I have to wait for the last book ti be released and I must know what is gona happen! I don't read a lot of books with "aliens" but a friend recommended this to me and I am so glad she did because I could not put it down. 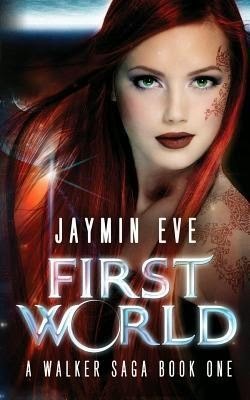 I love the world building and they way the Jaymin described the different worlds was fabulous. I could picture everything perfectly in my mind. The writing really flowed and I loved Lucy's smart mouth, it got my laughing plenty. I loved how strong and independent Abby is but that she could also go to Brace when she knew she couldn't do something on her own. The bond between the walker girls was awesome and I love how they have all grown so far and I can't wait to meet the final walker girl. Overall: I'm very excited to find out how the Final battle will commence and I'm curious as to what is Josians fate. I definitely recommend this to anyone looking for a pick me up because this series will definitely hit all the right spots.